This website was created specifically for parents to easily access information regarding your child's enrollment in our Title I schools. The purpose of Title I federal funding is to ensure that all children have a fair, equal, and significant opportunity to obtain a high-quality education and reach, at a minimum, proficiency on challenging State academic achievement standards and state academic assessments. Visit the United States Department of Education to find out more about Title I. If parents need a paper copy of the VDOE report, please contact your school administrator or the Office of Federal Programs at 540-483-5162. 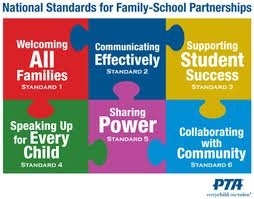 Click on the link above to find out more about these national standards from the PTA. We welcome feedback on our district policy.